Above all else, the sheer length of this British heatwave is leaving us Brits completely baffled. 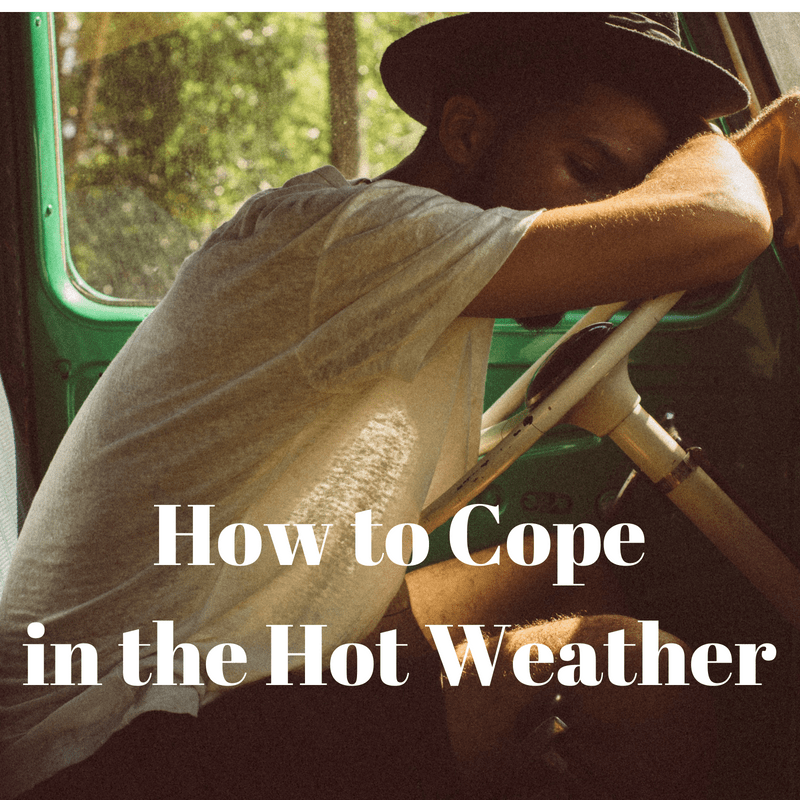 Since we normally don’t bother putting our umbrellas away for the summer, many of us are not sure what to do with such a long stretch of high temperatures and sunshine, and we’ve all but forgotten what rain is. Whilst we really shouldn’t complain about having a real summer, we are struggling to cope a little. Here are a few tip to help you make it through to the comfort of what is known; autumn. We’ll start with the obvious point, drinking plenty of water really is the most important thing you can do in such hot weather. The soaring temperatures are causing many people to faint with little or no warning, so avoid this by keeping yourself hydrated. Dehydration is also a common cause of headaches and can lead to lack of concentration, so just keep sipping away! The weather is so great that we want endless picnics in the park and outdoor strolls. We by no means want to discourage this, but it’s wise to think about how long you’re spending in the sun (particularly if you have children in tow), and try to limit this to a safe, reasonable amount. As an alternative, try and find some fun indoor activities available in well air-conditioned venues. To keep the children active when playing in the sun is a little too much, an indoor swimming pool is a great idea. Whilst we love our roast dinners, they may seem a little too heavy in this hot weather, and they certainly won’t be much fun for those stuck in the kitchen preparing them. Cold meats, salads and plenty of fruit are a good staple diet in this kind of heat. To introduce some carbohydrates, you can simply add bread buns or whack some jacket potatoes in the oven; anything which means you don’t spend too long slaving over a hot stove! Intentionally a separate point from staying hydrated, since one is essential and the other is simply a treat. Why not fill out one or two of our paid surveys during your lunch break so that you can justify heading to the pub for an ice cold beer or cocktail after work. It will help you get through the long, hot hours and serve as a refreshing end to the day. Whether you’re out enjoying the sunshine or sitting as close to the air conditioning unit as physically possible, make sure you do all you can to keep well during this heatwave, and try to enjoy the experience of a real summer!